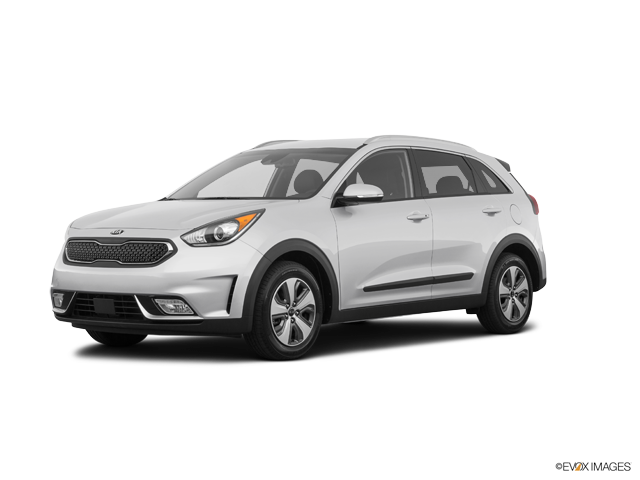 This year, the zippy and sporty Kia Niro is decked out with features inside, outside, and under the hood that make it fun to drive. The Niro is powered by a standard 1.6L, four-cylinder engine that generates up to 139 HP. However, there is also a hybrid variant that uses a combination of gasoline and battery power. Both engines are paired with a FWD drivetrain. There is plenty of room for five passengers across the Niro’s two spacious rows of seats. Along with the plentiful standard features in the Niro, a variety of optional add-on amenities make it easy to customize your ride, too. From the ground up, the 2019 Niro has a distinct exterior. The Niro rides on 16-inch aluminum wheels. A rear window defogger is standard, and the windows come with a deep tint to give you privacy and protect you from the sun’s rays. A rear spoiler gives the Niro a sporty look, while variable intermittent windshield wipers adapt to the volume of rain outside for optimal visibility. This year, there are three trim levels of the Niro. The base model is called the LX. This trim level, like the others, comes with a choice of six exterior paint colors and two interior color schemes. This Niro comes with a standard seven-inch touchscreen that has Android Auto and Apple CarPlay. There is also a six-speaker sound system that produces a rich, balanced sound. A 4.2-inch driver instrument dashboard display is also standard, as are two 12V power charging outlets in the front seat. Dual-zone temperature control, a windshield defogger, and a smart entry system with a push-button start are other conveniences of this trim level. The second-tier trim level is the EX. In this trim level, you’ll get a backup camera and more safety features including lane-change assist, blind-spot warning, and rear cross-traffic alert. In addition to the charging ports in the front seat, you’ll also get a USB power outlet in the back seat. Rear vents, a cargo cover, and an auto-dimming rearview mirror are other amenities of the EX. The top-level trim is the EX Premium. The EX Premium gives you a larger standard touchscreen display (eight inches) with integrated navigation. This trim level also comes with a premium sound system that has eight speakers and a subwoofer. In addition to the safety features on the EX, the EX Premium also has front and rear parking assist sensors. Leather seats are standard on this trim level. With all the features they provide, it’s apparent that safety is prioritized on all trim levels of the Niro. Every Niro trim is equipped with airbags throughout the cabin, including in front, on the sides, and by the driver’s knee. The seat belts have pretensioners to shield occupants from the force of a collision. Hill-start assist, braking assistance, and a tire pressure monitoring system are other standard safety amenities. Driver-assist safety features vary by trim. Its good looks, impressive power, and abundance of interior amenities make the 2019 Niro a vehicle that you’d be disappointed not to try. This year’s Niro has a number of enticing features, including up to an 8.4-inch touchscreen, a high-quality sound system, and award-winning safety amenities. If you’re looking for a Niro to test drive, you’ve come to the right place. 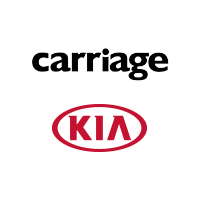 Our attentive and knowledgeable staff, who values our customers as much as our cars, is here to help you out. Simply call or visit our website to learn more about the Niro and schedule a test drive. * “Starting MSRP” is manufacturer’s suggested retail price (MSRP) for base model trim. MSRP excludes destination and handling charges, taxes, title, license, options and dealer charges. Actual prices set by dealer and may vary. ** Based on EPA estimates. Actual mileage will vary with options, driving conditions, driving habits and your vehicle’s condition. Niro models have the following EPA rated MPG figures, city/highway/combined.